Looking for a cosy spot to unwind after work with a drink and snack in hand? Sotano, a firm favourite in Mouille Point has opened a 2nd branch.. The newly opened Norval Foundation in Steenberg is a real must for anyone looking to enjoy contemporary local art in a stunning environment. The centre..
Cape Town's upcoming East City Precinct is the current buzzword and full of exciting changes. The East City is where the CBD meets District Six..
Societi Bistro is a great choice all year round. Set in a beautiful Georgian house, it has a lovely outdoor section which is fantastic for..
Cape Town’s East City Precinct is on the rise with some fabulous new additions, one of these being The Electric. With it’s vibrant yellow exterior..
Kleinsky’s Delicatessen, the much loved Sea Point eatery, has expanded to the city centre and found a new home on Church Square. The interior is simple..
You’ll find Kyoto Garden Sushi on Kloofnek Road amidst a busy and popular hub of bars and eateries… The Power & The Glory, The Sorrows,..
For all the nature lovers and healthy foodies you’ll be happy to hear that Observatory now has a new eatery and to add to that..
For superb dishes in a beautiful, light and airy setting with views of the Constantia Valley to boot, look no further than Harbour House on.. I visited the the Silo District last week and was blown away by the changes since I last visited 6 months ago when construction was..
Palm trees, cocktails and beach views, yes please! 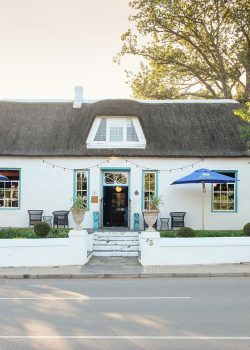 Chinchilla Café & Bar is the latest addition to the Camps Bay promenade and with its rooftop setting..
Camps Bay fans and foodies will be happy to hear there’s a brand new restaurant on the Camps Bay promenade. Bilboa is part of the Kove Collection..